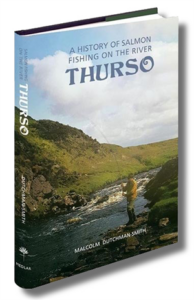 This book traces the history of salmon fishing on the river Thurso in Scotland from 1700 to the present day. Written by an angler who has fished the river for around 40 years, it provides a detailed account of both sport fishing with rod and line and the commercial net fishery which continued until 2005. The author reveals many wonderful days fishing on the Thurso with eye-watering catches of fish, both numerically and over 40lb in weight, It tells of dire periods, particularly when the river was laid low by drought, and of the construction of a dam at Loch More, which was intended to solve the problems of low water. Unsurprisingly, there are also many amusing and unusual incidents involving anglers and their efforts to catch salmon in its waters. 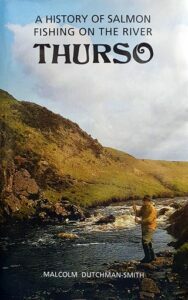 Whilst not in any way a treatise on how to fish the Thurso, the book contains up-to-date beat maps, descriptions of the water and some useful flies. “Here I am sitting on the banks of a shrunken and dour river Dee very grateful for having been sent this book. It has certainly helped my very slow week go considerably faster! When I first heard that the book was about the history of the River Thurso I thought, “the author either deserves a medal, or to be left in a quiet room with a wee dram!”. I was wrong on both counts – the author deserves an honorary degree! The work is a tour de force of detailed research on 300 years of ownership and management of the River Thurso, and of course the many colourful characters and kindred spirits who have each played a part in shaping the river. Even though there is so much information given, like the river itself, the writer skilfully keeps the plot scurrying along with twists and turns at a brisk pace, interspersed with back-eddies full of absorbing detail – with ‘backing-up’ only needed on the rare slower sections. It’s a jolly good read because throughout its history, tensions have simmered between commercial netting, sporting interests and the financial interests of the owners. Over the years these concerns have jockeyed for supremacy with winners and losers all along the way – salmon included. Meanwhile, on the banks of the Thurso the long-serving river managers, ghillies, visiting rods and hotel staff have clearly formed a special bond and contributed to the many humorous tales recounted in the book. 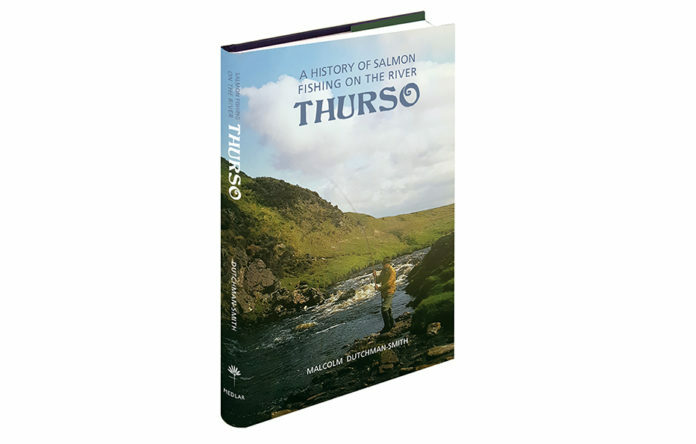 The Thurso is almost unique in that it is a “one team” river – and it shines out of the book that the author Malcolm Dutchman-Smith is very proud and privileged to be part and parcel of it. And rightly so. This book is well researched, well written and will be an important historical document in its own right for the next 300 years! ‘Team Thurso’ is fortunate indeed for this extremely valuable contribution. Available from the Medlar Press website. Photographs throughout. Mono and colour.